At a school that’s former mascot was coined “The Lehigh Engineer,” it can appear as though arts take a back seat to the strong tradition of engineering at Lehigh University. This couldn’t be further from the truth. 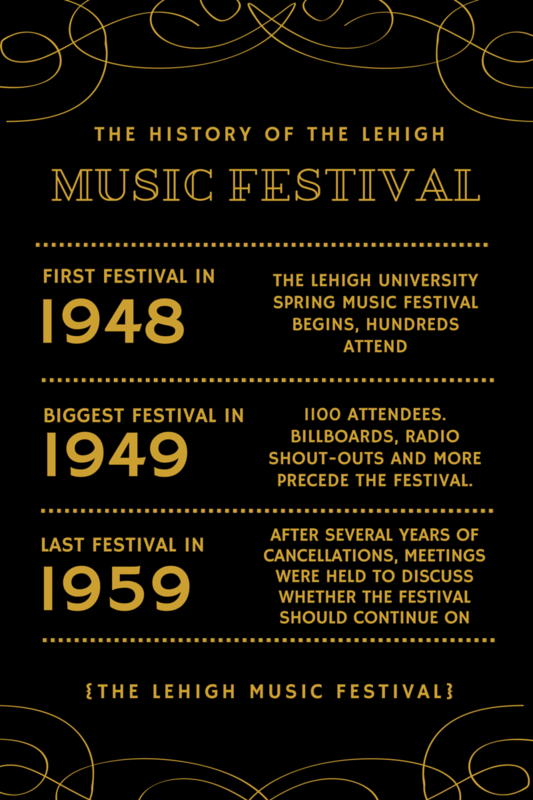 In fact, Lehigh has strong ties to the arts, particularly in theater and music. I had the privilege of delving into these ties through cataloging one of Special Collections’ newest collections devoted entirely to the theater arts. This collection was provided by Jeffrey Milet, an associate professor in the Lehigh University Theatre Department. A graduate of the Yale School of Drama, Milet was taught and mentored by George C. Izenour, who shared with him an interest in theatrical design, stage lighting, and technical theater and acoustics. Izenour, in addition to teaching theater at Yale and having a four year contract as an adjunct professor at Lehigh, holds several patents and has published books in the realm of theater. Our collection contains a wide breadth of materials and artifacts and, besides the sheer amount of legal and financial documents that go into obtaining a patent, includes copies of Izenour’s books, his original writings and sketches, and literature about and images of theaters abroad. 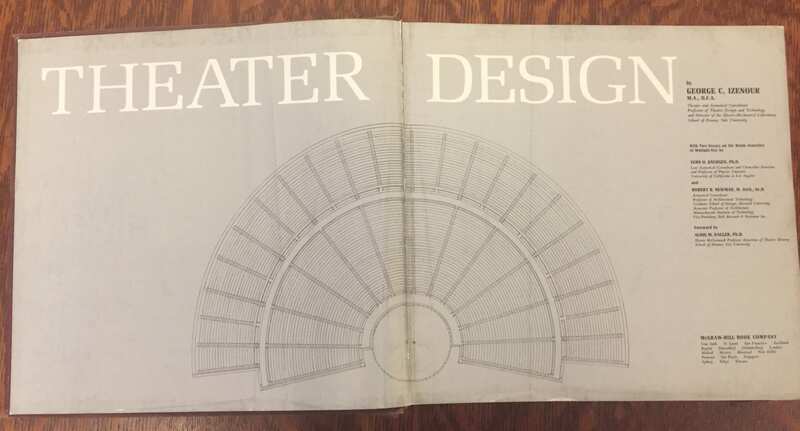 A 1983 copy of Izenour’s Theater Design, which focused entirely on implementing acoustics, lighting, seating, and other aspects to create the best possible experience for members of the audience. Perhaps one of the most interesting aspects of this collection is placing those works written by Izenour alongside his other original works: drawings and blueprints, photographs, sketches, and etchings of theaters, auditoriums, and large group spaces from around the globe as depicted in the works of painters, magazines, and newspapers. We are able to see how Izenour pulled together many different influences from a variety of sources, analyzed them in his writings, and essentially made theater designs and acoustics as we know them today. Italian columns, classical British ceilings, and stylistic components from Asian and French theaters are just a few of the foreign influences drawn together to define an ideal theater. Prints of a Japanese theater (left) and the London Royal Circus Theater (right), elements which inspired Izenour’s designs. 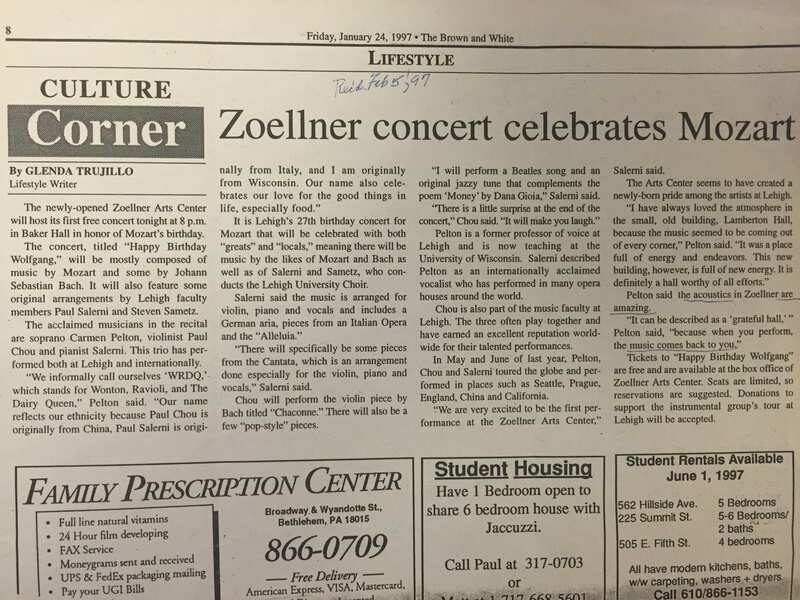 Brown and White article from January 24, 1997 celebrating the opening of the Zoellner Arts Center at Lehigh University. Pays special tribute to the design of the main performance hall. While Milet and Izenour’s work does relate more to the technical and engineering aspects of the theater, perhaps this is for the best. Their work creates a seamless, comfortable, ideal theater experience, focusing on the viewers and allowing them to immerse themselves in the true art that is seeing a live performance. They are the ones truly devoted to the audience. If you would like to view more of this collection, please contact Special Collections. 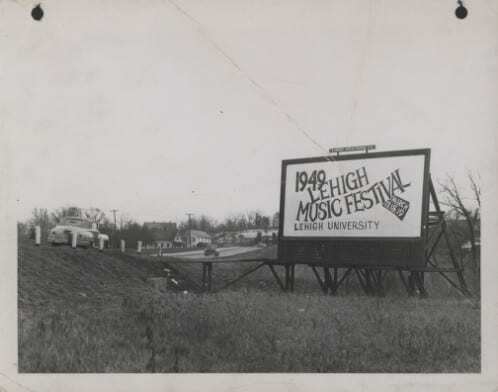 In 1948, Lehigh began a new tradition: the Lehigh Music Festival. The festival was well-met, with the first event attracting about 400 attendees. The next year, however, was the biggest festival year with 1100 attendees and plenty of publicity as seen with the billboard pictured above. The 1949 Music Festival was not a sign of years to come, though. 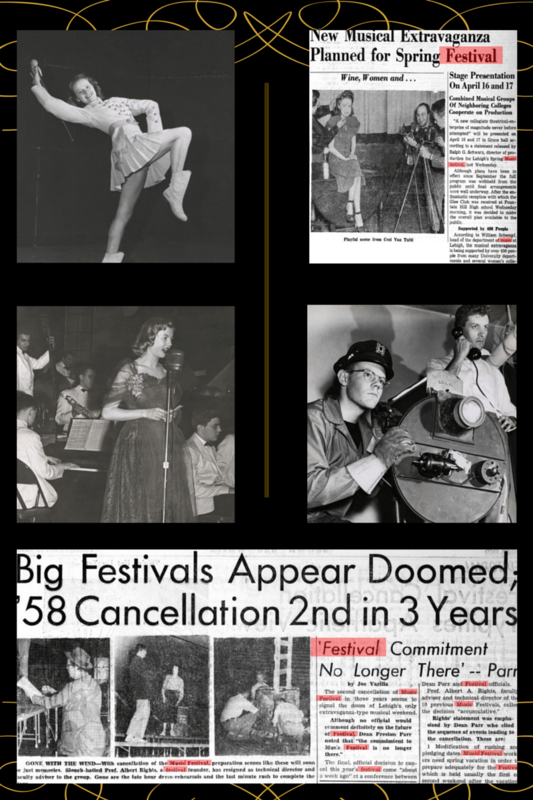 The Festival would be cancelled several different times in the years leading up to 1959, but students wouldn’t let the festival go without a fight. There were several Brown and White articles in 1958 advocating for a festival in 1959 after the ’58 festival was cancelled. Meetings were held to judge student interest and the 1959 festival was ultimately planned and executed, but it would be the last of its kind.